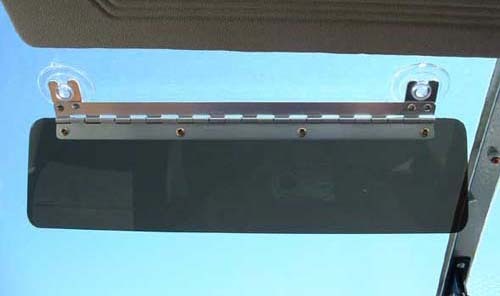 Our suction cup Adjustavisor is made especially for aircraft sport canopies or aircraft without visors. 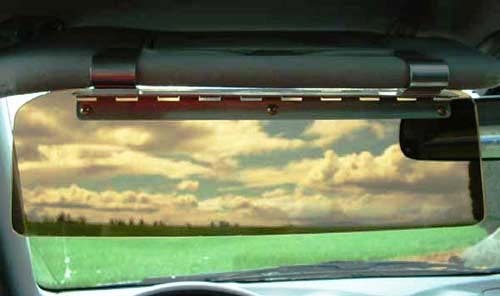 Our clip-on units double the range of stock visors, add contrast, and reduce sun glare and eye fatigue. Designed and produced by A&P Technicians and pilots, the aircraft quality materials and friction hinge enables infinite adjustability and great durability. What's more, the visor stays in position through almost any maneuver. 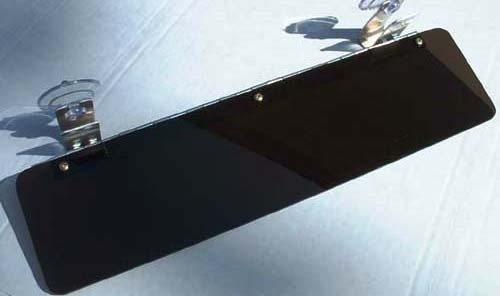 The standard size of 3.5" x 14" works well for most applications, and custom sizing is available. 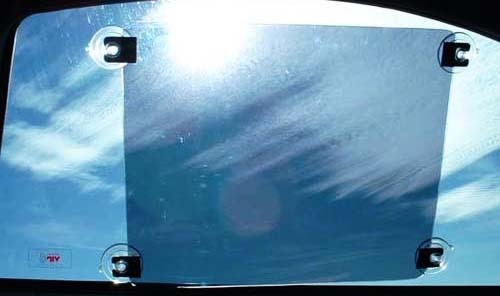 Also available are the Suclip (suction cup clip combo) and the side window visors. Order two or more for a 19% discount. Order two or more for a 16% discount. Get a quantity discount of 20% for orders of two or more.